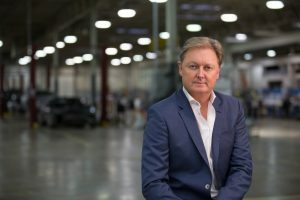 Henrik Fisker Shares Predictions About the Future of Mobility and New Projects on the Horizon | Mecanica Solutions Inc. Imagine a world where there are fewer gas-powered automobiles and people are increasingly dependent on alternative modes of transportation. Whether that’s a one-seater auto, car sharing or a driverless shuttle bus, the vehicles of the future are expected to be electrified, autonomous and connected. I recently had the opportunity to talk to renown auto designer Henrik Fisker, Chairman and CEO of Fisker Inc. about the future of mobility and what he envisions we’ll likely see on the roadways over the next decade. He also shared some of the cutting-edge projects he is working on, which are in line with his goal of creating an environmentally-friendly car company that helps shape the future of clean mobility. Fisker predicts that we will begin to move away from the concept of a traditional automobile company and that instead, mobility companies will take the lead in designing and creating the vehicles of the future. The visionary believes it’s going to be the most significant change and disruption we’ve had in the automotive industry since the shift from the horse and buggy to the gasoline engine. We might still own a car in 10 years; however, Fisker says we’ll probably only use it 50 percent of the time. The Danish-born American entrepreneur is famous for designing some of the most stunning, iconic vehicles such as the 1999 BMW Z8, several Aston Martins including the 2005-2017 Vantage, the Falpin-Fisker Mustang Rocket, and of course, the Fisker Karma. Many are probably familiar with the Fisker Karma, a luxury plug-in electric sports sedan manufactured in 2011 by Fisker Automotive, one of the earliest electric vehicle (EV) companies. Over Fisker’s career, the prolific car designer has introduced many innovations to automobiles including a full-length curved solar roof, reclaimed interior wood and even a vegan interior option. Fast forward to today, and Fisker remains at the forefront of innovation and recognizes that technology is and still will be a major contributing factor in how we live. He shared his excitement about one of the newest projects at his Los Angeles-based company—an autonomous bus named the Orbit, which he refers to as the “smart” shuttle that knows how to have fun. The electric, driverless, and connected shuttle was designed to revolutionize autonomous transportation. The Orbit has the capability to replace the large buses we currently see today and will likely be used in smart cities, campuses, public airports and other geo-fenced areas. In addition to autonomous transportation, another change Fisker foresees happening in the auto industry is the increasing number of EVs. According to the International Energy Agency, there were more than one million EVs sold worldwide in 2017, which brought the total number of these vehicles on the road to over three million. This number is projected to continue growing, and Fisker believes we’ll see more EVs on the road over the next four years due to better infrastructure changes, improved battery technology and a diversity of vehicles available to purchase in a wide range of price categories. Back in 2011, when Fisker introduced the Karma Fisker, consumers weren’t as familiar with EVs as they are today and didn’t quite understand the benefits. Since then, public perception has changed. EVs have become more appealing due to their lower running and maintenance costs, environmental benefits and safety improvements. 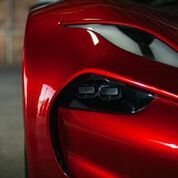 The challenge now, according to Fisker, is for automobile manufacturers to continue demonstrating the advantages of owning and operating EVs and showing how they can actually be better in some cases than gasoline cars. 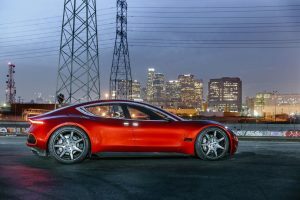 Fisker is at the forefront of this EV renaissance with the development of the EMotion, a timeless vehicle he considers a successor to the original Fisker Karma. The new electric luxury sedan will include the latest technology including Fisker’s Solid State Battery Technology, which is currently in its development stage. Over the last two years, the company has created this new battery technology, which has twice the energy, is more environmentally-friendly and costs half the price of a lithium battery. A tremendous amount of time was spent working closely with engineers to sculpt a futuristic vehicle that was built to the correct proportions and encompasses the harmony of its lines. Fisker believes this evokes a certain emotion, hence the vehicle’s name—EMotion. His inspiration when creating this one-of-a-kind vehicle was to bring out the feelings people typically have when they are drawn to a specific vehicle design. The EMotion includes butterfly doors equipped with touch-sensitive sensors controlled through a smartphone. The all-wheel-drive vehicle will have autonomous capabilities, a 400-plus range and have the ability to reach a top speed of 160 mph. Prototypes have already been built and Fisker is currently finetuning the final composition with his team. The EMotion is expected to be finalized this year, so vehicle testing can commence before production begins over the next two to three years. While bringing his own projects to market, Fisker is immersed in future automotive trends. He recently joined Berlin-based motec ventures where he is actively involved advising start-up technology companies worldwide. He predicts these ventures will ultimately bring innovative and creative vehicle concepts to market that will continue to drive changes in the auto industry and further define the future of mobility. Editor’s Note: Dassault Systèmes will be exhibiting in the Electric & Hybrid Vehicle Technology Expo during the The Battery Show taking place September 11-13 at the Suburban Collection Showplace in Novi, Michigan, Dassault Systèmes (Booth 549) will demonstrate Systems Engineering, Mechatronics and Simulation solutions to accelerate the design and creation of electronic, autonomous and connected vehicles including battery power systems available via its 3DEXPERIENCE platform.